Heritage Festivals are held throughout Canada during the summer months. They celebrate the culture and lifestyle of ethnic people. 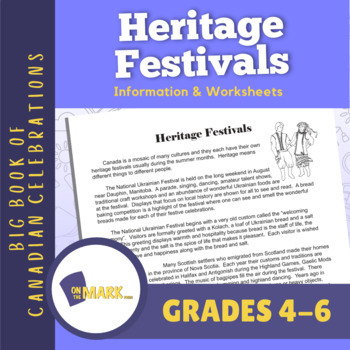 The information deals with all types of heritage festivals and how they are celebrated. The follow-up deals with the skill classification.